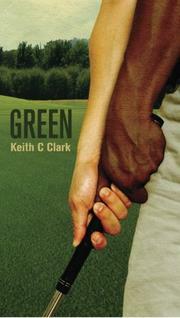 Clark offers a novel about golf, race and friendship in roughly equal parts. When Aloysius “Wish” Fitzgerald and Jackson Spears meet in 1969, they form an unlikely friendship. Wish is poor and black, and Jackson is rich and white. They bond over golf; Wish is obsessed with the sport, and Jackson’s overbearing father hopes his son will be able to master it. Wish works as a caddy to stay close to the game, at a time when most courses wouldn’t allow black players, due to the racism of people like Jackson’s father. Wish helps Jackson not only with his golf game, but also with his confidence. It’s a favor that Jackson repays later in life, as the narrative moves through roughly four decades of family, business and sports struggles and triumphs. Race and racism is a recurring theme, but it’s never an issue between any of the primary characters. Jackson’s father, for example, is a bit of a cartoonish bigot, but Clark doggedly avoids giving him and similar antagonists a major role in the story. Instead, they’re on the fringe as Wish pursues his dream of becoming a professional golfer. The narrative tension refreshingly comes from the characters chasing their dreams, or from their refusal to let go of their own stubborn notions. On the other hand, the story’s moral lessons are at times overly simplistic, as characters relinquish those same stubborn notions after some quick dialogue and reflection. Race is a difficult issue, but Clark handles it broadly, never letting the story get too gritty or thorny. He keeps his characters amiable and self-reliant, and although each decade presents them with challenges, their lives never seem in danger of spiraling out of control. Even so, it’s easy to root for Wish, and this fact keeps the story moving along. The golf jargon may get a bit thick for non-golfers at times, but it’s always necessary to the action and detailed enough to please golf fans. A quick, enjoyable read that doesn’t spend too much time in the rough.